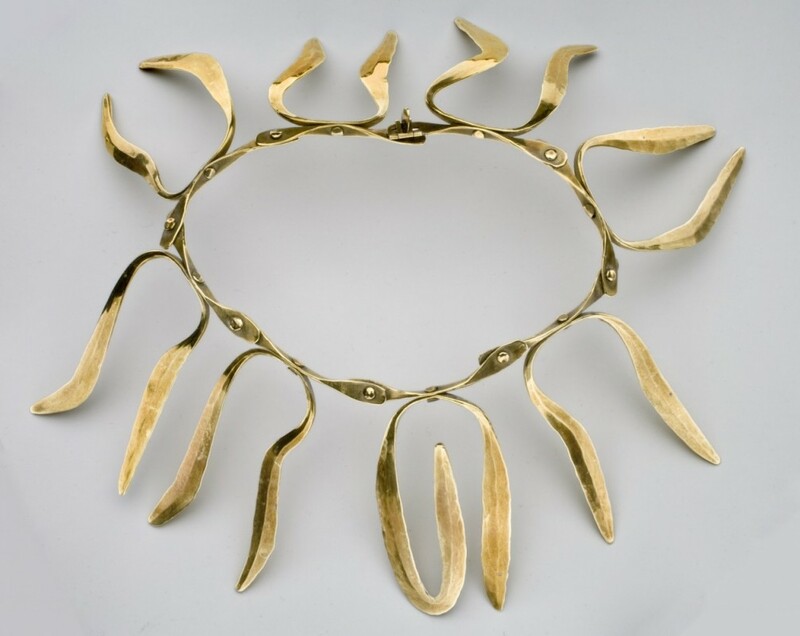 Harry Bertoia, Necklace, brass, c. 1940s. Collection of Cranbrook Art Museum. Photo: R. H. Hensleigh and Tim Thayer, © 2015 Estate of Harry Bertoia / Artists Rights Society (ARS), New York. In commemoration of the centennial of the artist’s birth, Bent, Cast & Forged: The Jewelry of Harry Bertoia is the first museum exhibition devoted to Harry Bertoia’s designs for jewelry. The former Cranbrook Academy of Art student and metalsmithing instructor has received international acclaim for his metal furniture and sculpture, but his exploration of the medium originated in jewelry design while still a high school student in Detroit. Out of the hundreds of jewelry pieces attributed to Bertoia, the majority was produced during his years at Cranbrook, and this display of over thirty works offers an early glimpse of a creative vision that would crystallize as his career matured. Additionally, several early monotype prints are featured to illustrate how the artist harnessed the same intuitive and experimental approach to making in his planographic compositions. The objects in this exhibition highlight Bertoia’s investigations of form, dimension, and material on a concentrated and bankable scale—establishing him as a pioneer of the American Studio Jewelry movement and a master of elevating fashionable adornment to objets d’art. 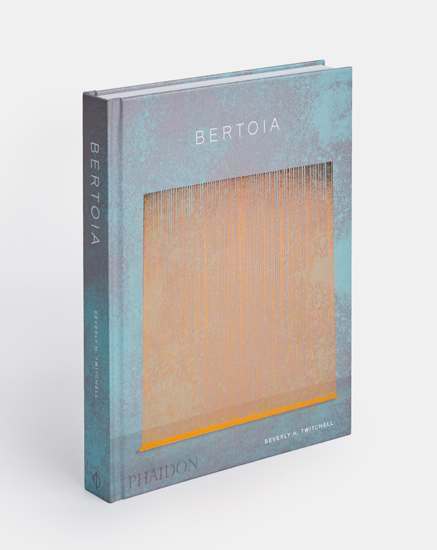 The exhibition opened with an exclusive ArtMembers’ reception on March 13, from 6-8pm, featuring a lecture from Celia Bertoia, Harry Bertoia’s youngest daughter and director of the Harry Bertoia Foundation. Bent, Cast & Forged: The Jewelry of Harry Bertoia was organized by Cranbrook Art Museum and curated by Shelley Selim, the Art Museum’s 2013-2015 Jeanne and Ralph Graham Collections Fellow. The exhibition is sponsored, in part, by Wright Auction House, Kim and Al Eiber, and the David Klein and Kate Ostrove Exhibition Fund. The exhibition will be accompanied by a full-color catalogue published by Cranbrook Art Museum.